Effective spa start-up in an easy to pour packet, with a unique effervescent feature. Its bubbling action properly sets the initial chlorine level on spas up to 500 gallons and helps extend the life of your bromine cartridges. 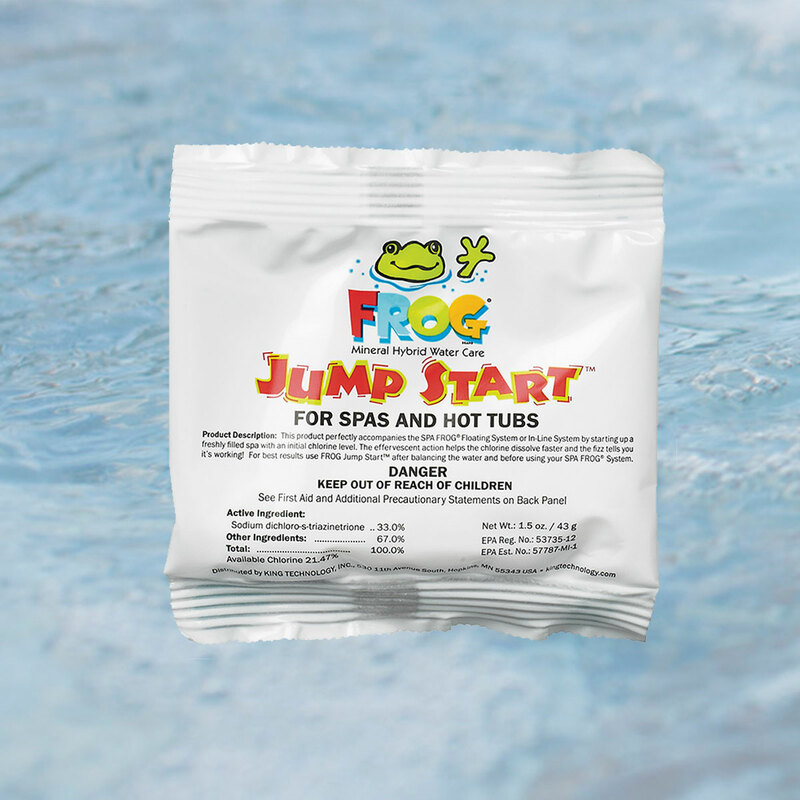 Made specifically for starting-up a freshly filled spa, FROG Jump Start is a one-dose-fits-all shock product that dissolves quickly – thanks to its effervescence. It creates a start-up level of sanitizer that can be used to help find the right setting for the bromine cartridge.